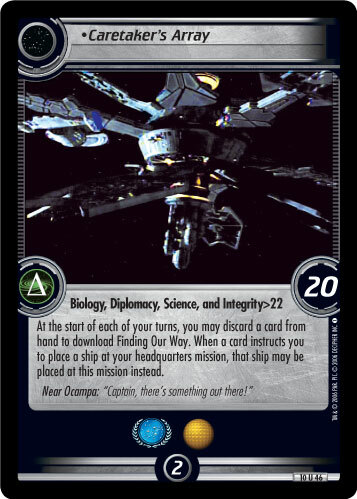 At the start of each of your turns, you may discard a card from hand to download Finding Our Way. 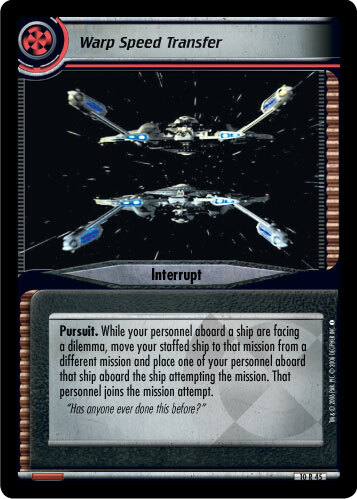 When a card instructs you to place a ship at your headquarters mission, that ship may be placed at this mission instead. 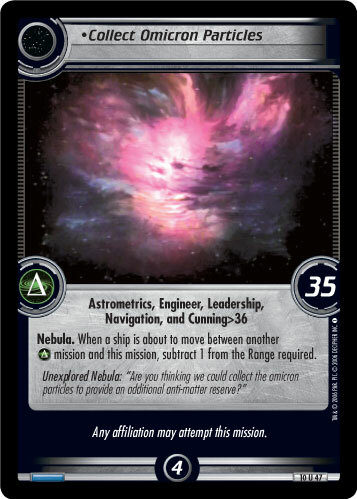 Near Ocampa: "Captain, there's something out there!"